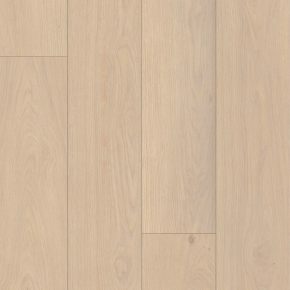 How to install laminate flooring on concrete? If you don't have an answer to that question, you can find it on our site. We gathered some basic instructions on how to prepare concrete surface on which laminate will be installed, how to choose correct underlayment for concrete, how to properly install laminate planks on concrete, how to install skirt boards and how to care for your new installed floors. There are also some basic information about proper conditions in which installation over concrete has to be done. If you are still not sure how to install laminate flooring over concrete after you have read everything, we advise you to hire professionals to do the job for you. Laminate flooring has to be installed over concrete properly to avoid any problems in future. If laminate flooring is installed over concrete by professionals, you will have warranty. Can laminate flooring be installed on concrete? Yes. It can be installed over all surfaces including concrete but they have to be dry, levelled and clean. Concrete is most common surface on which laminate flooring is installed. If concrete floors are newly constructed, you have to wait for concrete to dry. If you are not sure how dry concrete is, you can measure level of humidity in concrete with special device. When concrete dries completely, you can install suitable underlayment. Underlayment for concrete floors which are commonly installed are foam, rubber and cork. All underlayment ensures good stability to laminate on concrete floors and allows natural breathing. That means laminate flooring can expand and contract freely on concrete floors which occurs because of differences in room temperature and humidity. Another benefit of underlayment is levelling small surface imperfections in concrete floors. If there are many imperfections in concrete floors, laminate won't have stability. Laminate planks can start to deform and gaps begin to show. Gaps between planks allow dirt and water to come under them. If that happens repeatedly, laminate can start to swell and deform. There is a possibility mold will start to grow too. How to repair the damage? There is no other way to repair such damage but to replace planks. Do you want to know how to install laminate flooring on concrete with floating method? 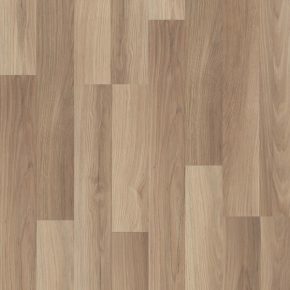 How is laminate flooring installed on concrete? Installing laminate flooring on concrete is done with floating method. Floating method means that laminate is assembled together on suitable underlayment for concrete and it is not permanently installed on concrete surface. This method is done without any special tools and without glue. Gluing method which was used before was very messy, time consuming and not good for your health. Besides that, it was very time consuming waiting for glue to dry. Floating method allows use of room immediately after installation of laminate flooring over concrete. Installation of laminate flooring on concrete is simple because planks have a system which ensures easy and quick assembly. Each plank has a groove and a tongue which seamlessly fit together. No use of force is needed, planks are placed on concrete one beside other and are clicked in place easily. If installation of laminate flooring on concrete is done according to rules, no seams are visible. Our high quality laminate flooring is produced from best sustainable materials with high end production machines. Planks are made so precise, that finished look of floors is stunning. Click installation system of laminate flooring is very easy to conquer and it can be done by almost anyone. However, if you don't have any prior installation experiences, thoroughly inform yourself on how correct installation over concrete should be done. It is also important to know how much laminate you will need for installation especially if you are buying it first time. You have to carefully measure all concrete floors on which you will install laminate flooring. You can install many types of laminate flooring over concrete surface. In our assortment we have many types of laminate. Laminate flooring is available in light, medium and dark colours. Light coloured laminate flooring is usually installed in rooms which do not have adequate lighting. Because light colours visually enlarge spaces, they are usually installed in smaller rooms but they look gorgeous in big rooms too. Medium coloured laminate flooring is a classic choice of our clients. It looks great if it is combined with all kinds of furniture and it looks superb installed in rooms with walls in any colour. Dark coloured laminate flooring is excellent for spacious vast rooms. Dark floors are ideal for spaces with lots of natural or artificial light. Beside colour of your new laminate flooring, you also have to decide which décor you would like to install. Most common is wood décor which comes in oak, cherry, walnut, pine, maple, chestnut, teak and many more. Oak laminate flooring has an appearance of hardwood flooring and that makes it very popular.